Let other people have sports stars and comic book characters on their dashboards, you've got the greatest writer of all time. Not only that, but he can inspire your road rage. 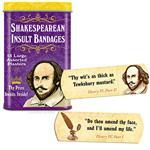 No more calling other drivers a dirty so and so, now you can say, "Thou hast cut me off, maggot-lipped blaggard!" 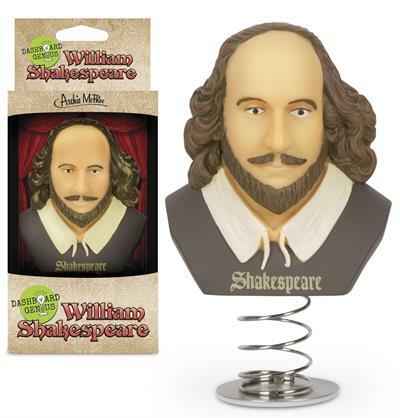 This 5-1/4" tall, soft vinyl bust of William Shakespeare on a metal spring sticks to your dashboard and thinks that guy that won't turn off his blinker is "as loathsome as a toad and a cream-faced loon."